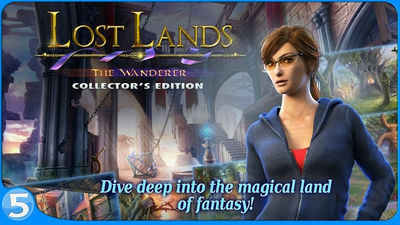 Get immersed yet again in Lost Lands: The Wanderer, the latest installment in the Lost Lands hidden-object puzzle adventure series by FIVE-BN GAMES. Play as Susan the Warmaide and enter a fantasy world filled with otherworldly creatures, pirates, and lots of riddles. Solve the riddle of the ghost ship, defeat an evil overlord, and explore an island full of mysteries. Your task is to stop the destruction of this world and help two loving heart be together again! Install Apk, Copy ‘com.fivebn.lltw.full’ DATA folder to sdcard/Android/obb , and play. 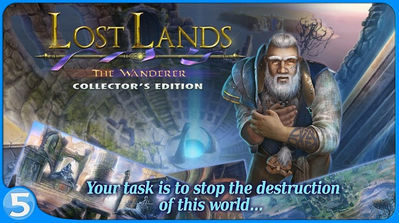 Don't forget to download and play Lost Lands 3 before you install this latest entry. You'll get more acquainted with the story and will give you more puzzles to solve.